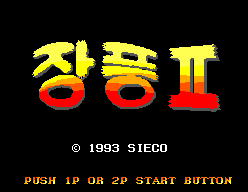 Jang Pung II (장풍 II) - Games - SMS Power! 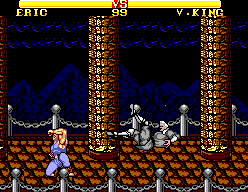 Unlicensed Street Fighter II clone. 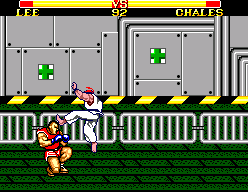 Compared to the Game Gear version released often labelled as "Street Blaster", some of the characters in the Master System version are lesser look-alike of the Street Fighter characters.